Homemade is almost always better. Doing something right is almost always worth it. 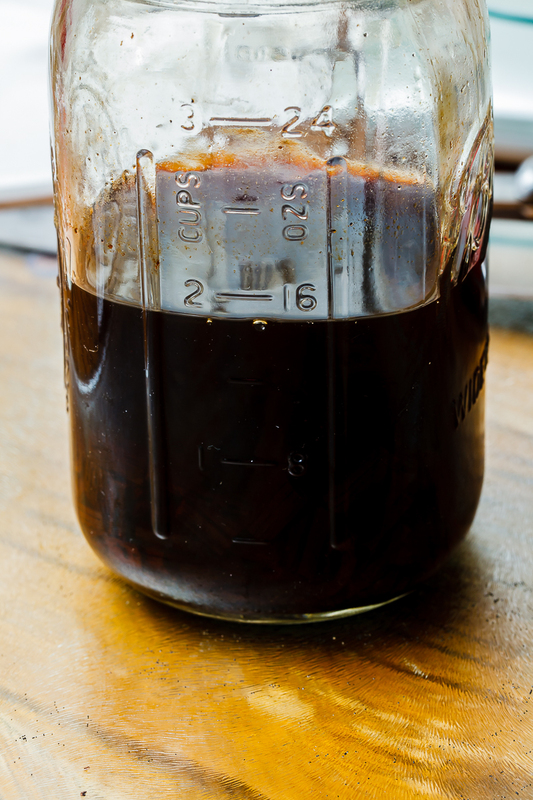 A couple of years ago I decided to make my own vanilla extract, and I haven’t regretted it. Not only has it been significantly less expensive, it tastes better too. A few weeks back Charity let me know that it was about time to make the next batch, so I began getting the ingredients together. First, I ordered vanilla beans from Beanilla.com. Resist the temptation to get premium beans and save some money while improving the quality of your extract by using grade B. Thankfully it is not the end of the world if you order grade A because I messed up and did that on this order. The reason to go with grade B is that there is less moisture in them, which makes for a better extract. In my case, I will just have to use more beans. Of course, grade B beans are less attractive, but who cares how they look for an extract? 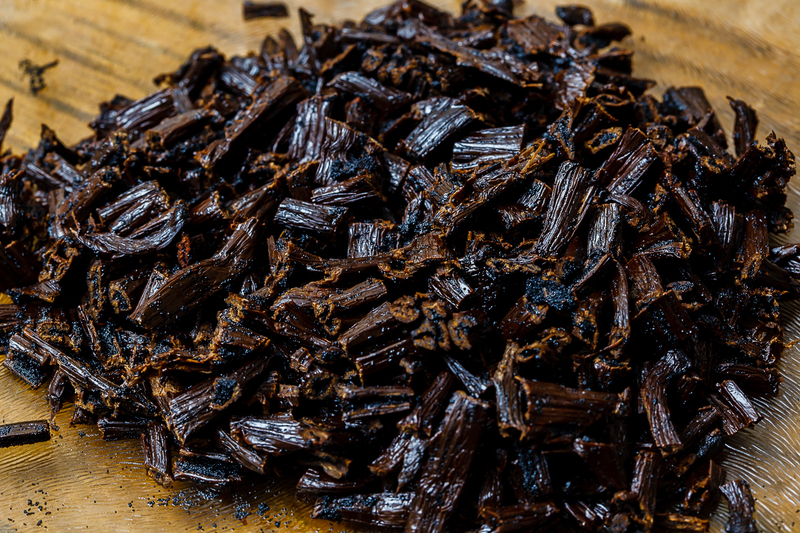 Vanilla Extract must contain no less than 35% alcohol (70 proof). 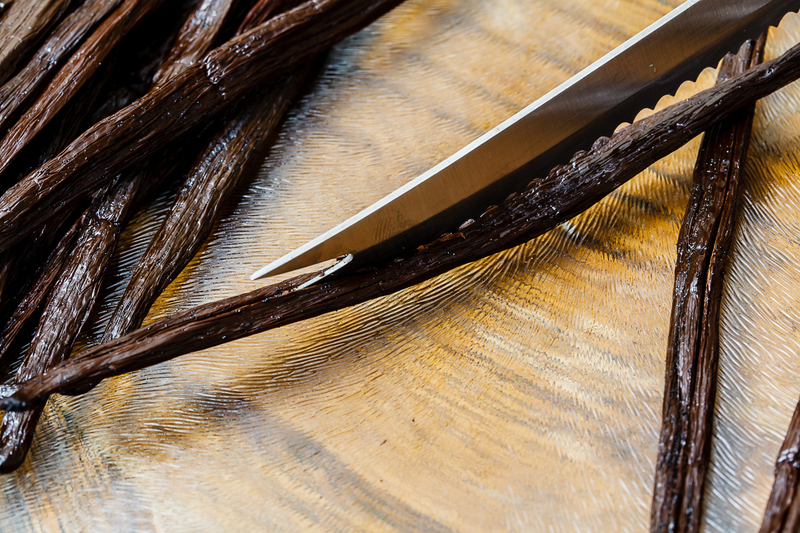 Vanilla Extract must contain 13.35 oz of vanilla beans per gallon of alcohol, which means you need 0.835 oz. 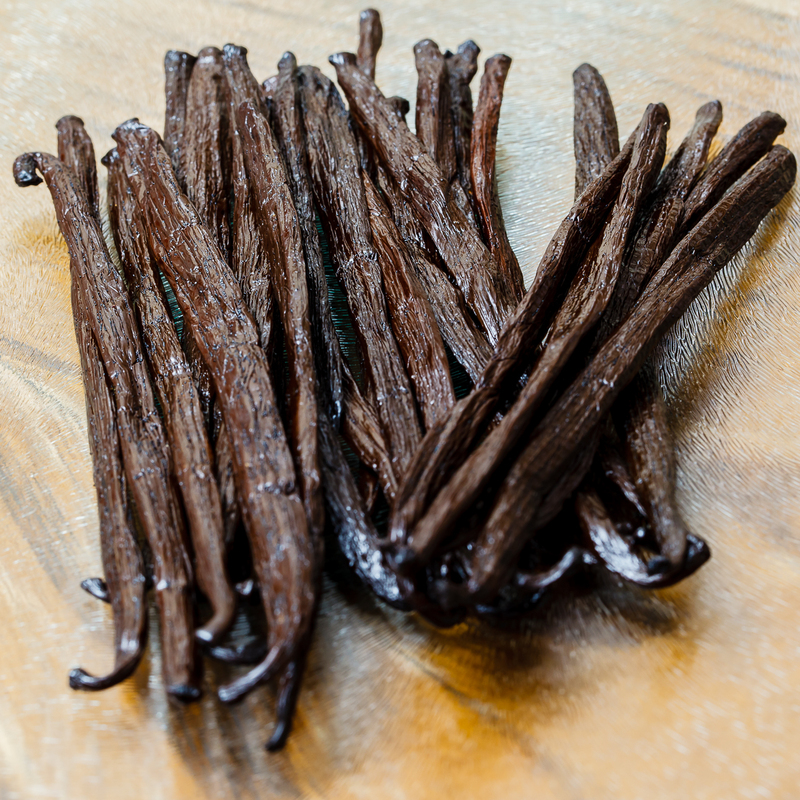 of vanilla beans per cup of alcohol. With all that legal mumbo jumbo out of the way, let’s make some extract! Now, let’s begin the real work. Cut the beans longways. Some folks say to scrape the pith out, but by cutting the beans longways you are allowing the pith to come in contact with the alcohol, which is what you are after. Next, cut the beans in small pieces. The smaller the better here. The more surface that can touch the alcohol, the better. Put the cut beans into an appropriate sized jar and add the alcohol. Store in a cool dark place, and shake vigorously every day for at least the first week. After the first week, store in a cool dark place and shake vigorously a few times a week for the next three weeks. 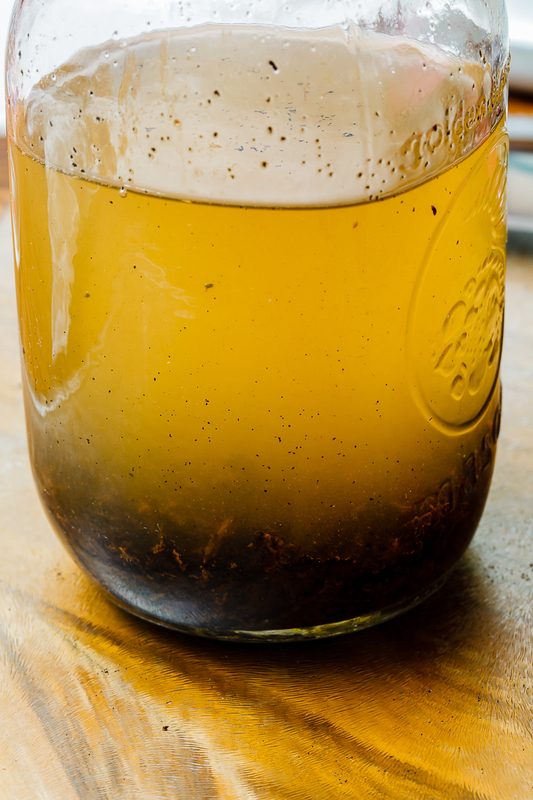 At this point, your extract is done; however, I prefer to let mine age as long as possible — at least six months. Longer is better. Next, cut the bean pods into small segments. Remember, smaller is better, as the more surface area that touches the alcohol, the better. Place the pith and the cut pods into a glass jar and add the alcohol. That’s it! Now I’ve place my jar in a cabinet to be taken out and shaken as described above. Though I will strain out the pith when I am ready to use the extract, I will leave the pods in the extract, as I suspect some vanilla will still extract out over time, and there is no danger of spoiling in the proportions used for this recipe. You will notice, perhaps, the last picture is labeled “Aged Bourbon Vanilla Extract”. 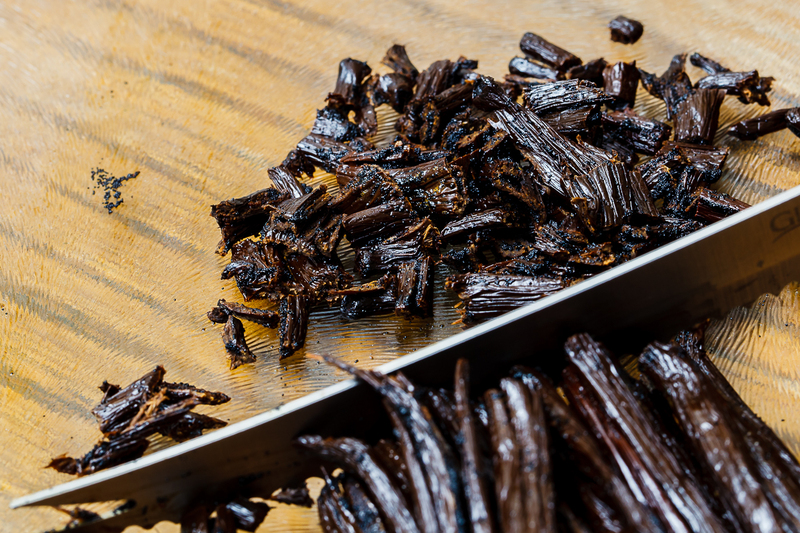 The first time we made this, we made one batch with bourbon, which gives the vanilla a different flavor that adds some uniqueness to the foods you make with the extract, and you’re not likely going to find that on a store shelf. I owe significant credit to the Vanilla Extract Instructionable and the superceding VanillaReview.com instructions. 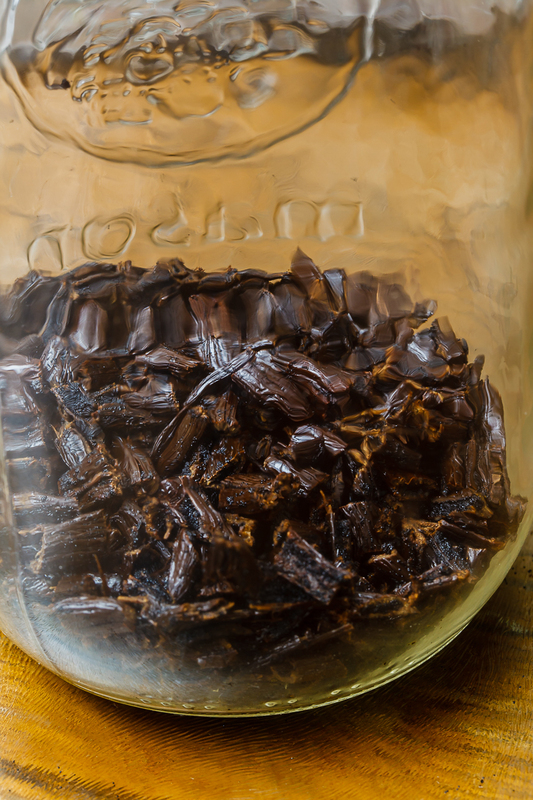 This entry was posted in Hobbies, Pictures, Recipe and tagged in beanilla, extract, homemade, Madagascar, Madagascar Vanilla, recipe, vanilla, Vanilla Extract.